I knew some of this from before, but I always wondered when the change came regarding the in- and close-to-downtown streets. 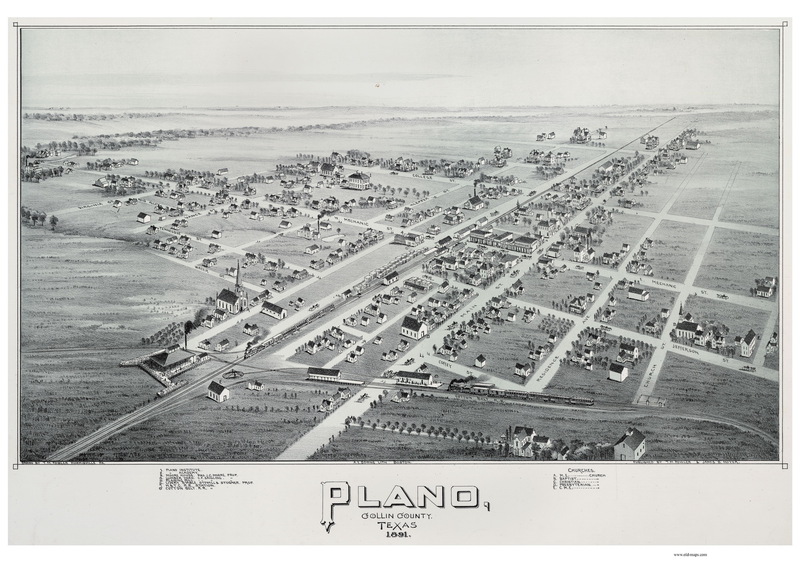 I've seen this downtown birds-eye map (http://www.old-maps.com/z_bigcomm_img/tx/birdseyes/Plano_1891_web.jpg) that appeared in a book published years ago about Plano's early years. I had no idea till seeing this map in that book, that there had ever been names other than F-R Avenues and 10th-22nd Streets there before.